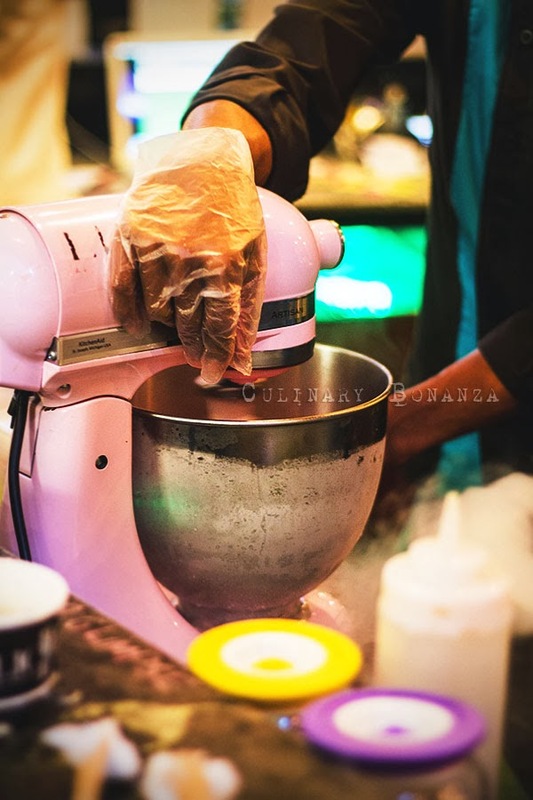 Liquid nitrogen is currently the one of the much-hyped food trends in Jakarta, I guess it won't be long until this fever spreads to other cities in Indonesia. 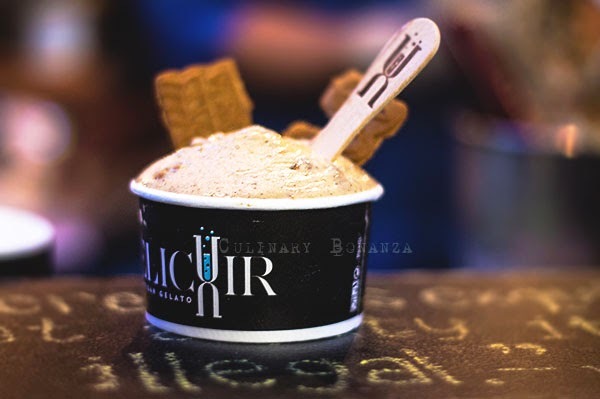 In Jakarta alone, there are several liquid nitrogen ice cream parlours and Elicxir Artisan Gelato is one of them. 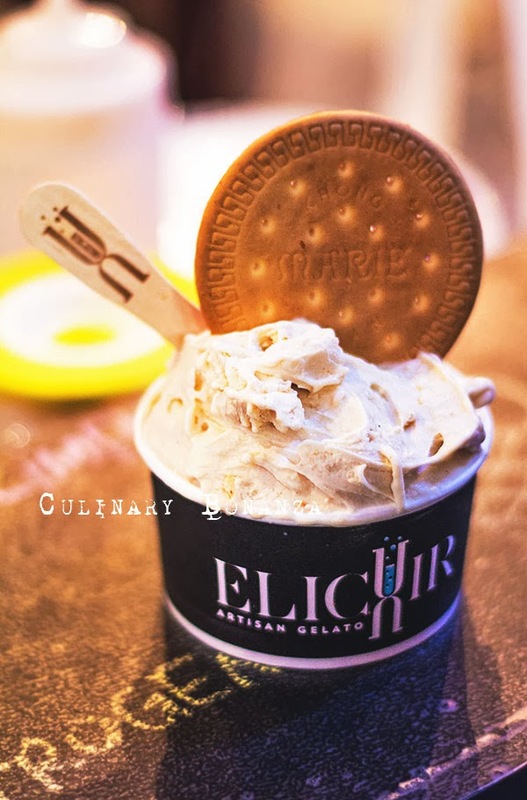 Marie Regal gelato with crushed Marie biscuits and topped with 2 whole Marie biscuits. Tasted predominantly sweet, because every single things is made from Marie biscuit. 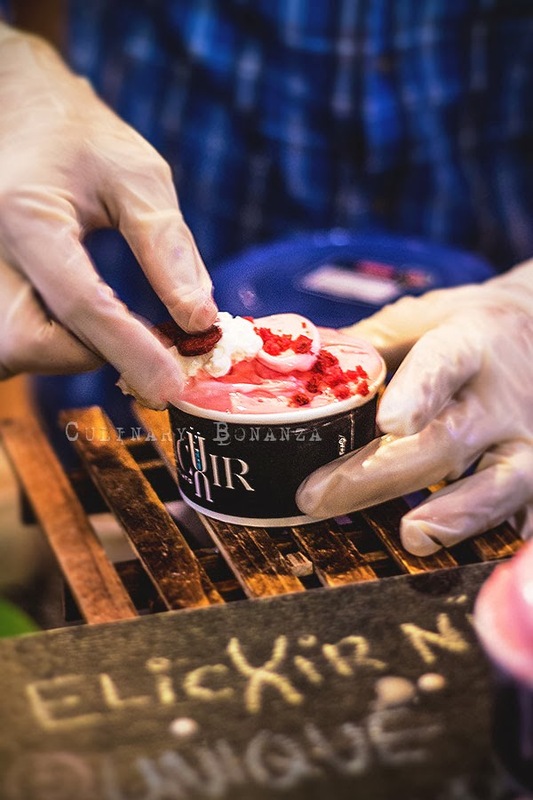 Because it is served as ice cream, the fragrant buttery scent that is identical to this biscuit is not that perceptible. I'd probably ask for kit kat as an extra topping just for variety. 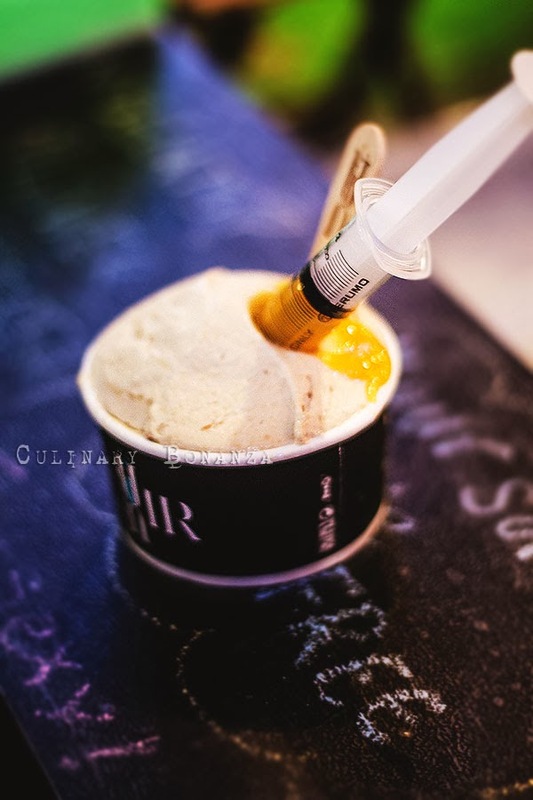 French Toast gelato with a shot of kaya jam. 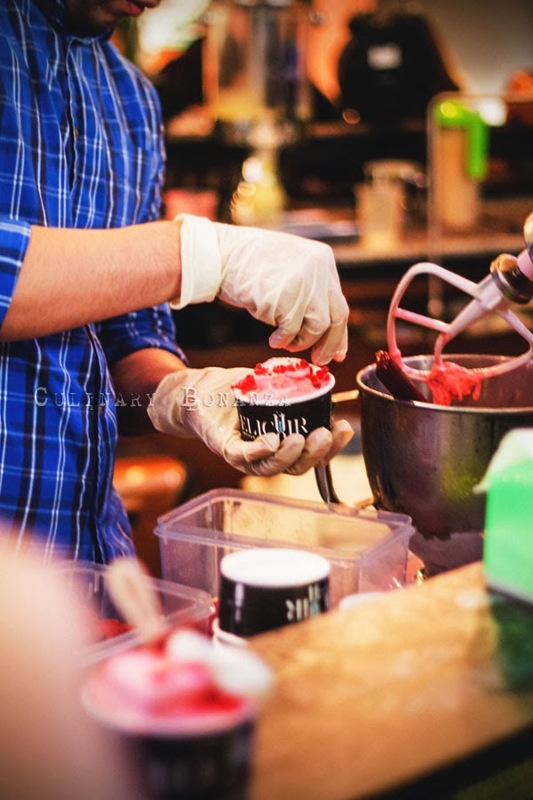 Red rhum gelato base and sitting on top of it is strawberry milk gelato, topped with cream cheese foam and heart-shaped red velvet cookies It was the special flavour launched for Valentine, go on lovebirds, profess your love with the Love on Top! ;) this is my favourite so far, I love the cream cheese foam especially, so light and creamy. 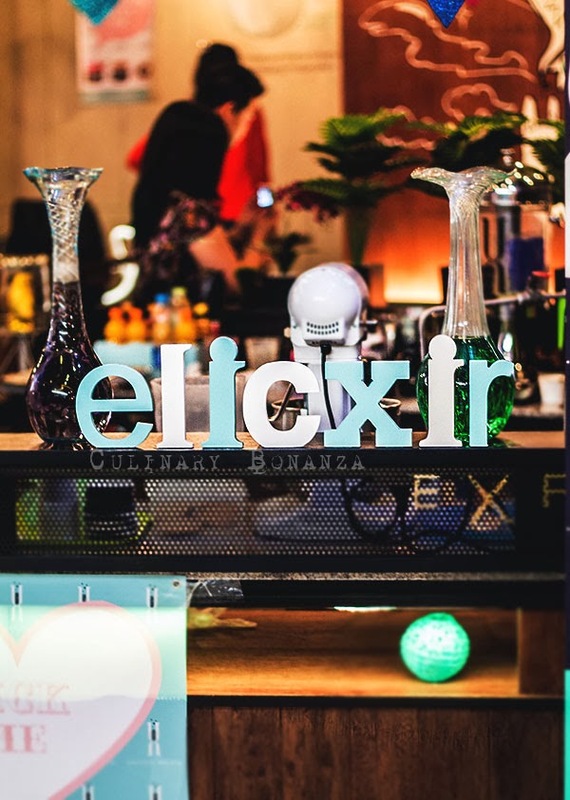 And we got a chance to sample an item yet incorporated in the menu, Elicxir is developing its Profiteroles, which could be served with any of its gelato. 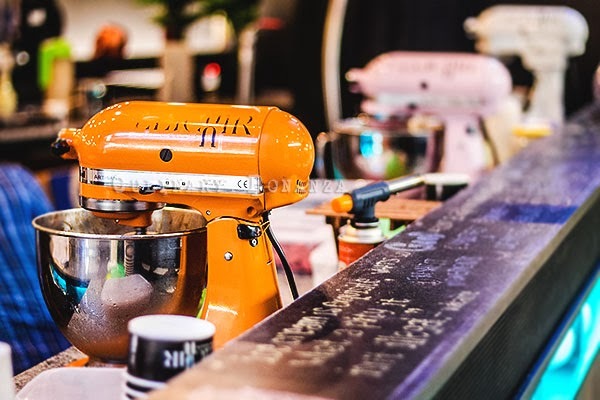 Profiteroles are normally served with vanilla ice cream and chocolate sauce, but what if you can have it with Milo Dinosaur or Peanut Butter gelato? Twisted, isn't it! 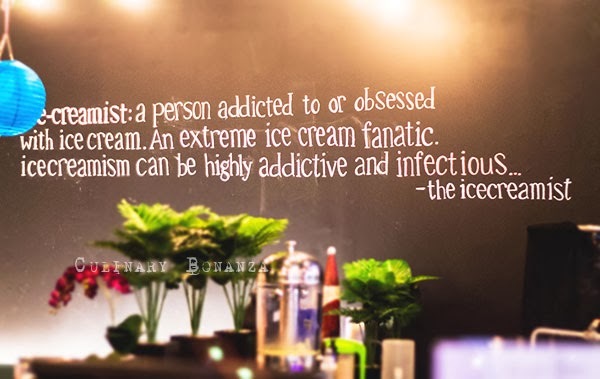 Maybe this will be on the menu when Elicxir pops up at its new location *fingers crossed.